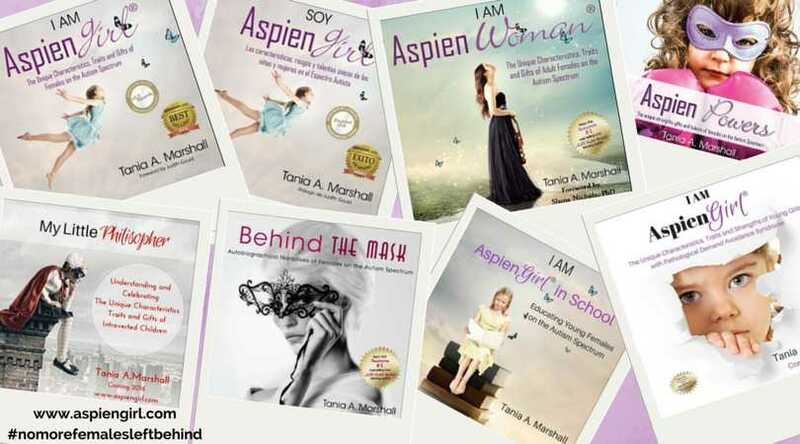 Professional Q and A Series I: FAQ’s about Female Asperger Syndrome and “Burning Bridges Aspie-Style” | Tania A. Marshall, M.Sc. 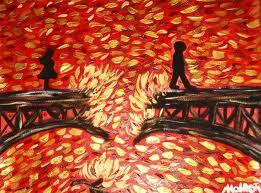 I have had a number of questions and comments related to what is referred to as “Burning Bridges”. Below are common comments/concerns that I have heard from my clients over the years. “My daughter has a long history of ending relationships badly, walking out of jobs, packing up her room-mates belongings with no notice, and for no good reason. I’ve had calls from her former boyfriend, her former boss and now her room-mate. I am at my wit’s end and I feel she has got no future”. Burning bridges is a set of behaviors in response to an event or events, often (but not always) disproportionate to the situation or event. What causes individuals to burn bridges? A combination of blaming, passive-aggressive behaviors, avoidance of conflict, arguing rather than talking, criticizing and/or making excuses for their behaviors (“well, if you didn’t………, then I wouldn’t have had to throw out all your stuff!”). The difficulty in understanding the unwritten social rules, of social and emotional reciprocity in relationships and how to maintain friendships or relationships. 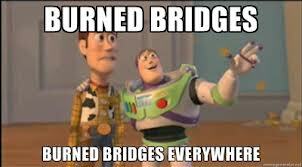 How Does Burning Bridges Happen? In my professional work, I have found that children on the Autism Spectrum tend to fall into groups or sub-types. There are those who have a quieter, shier personality and generally dislike conflict or stress intense, keep their own opinions to themselves or take on the opinions of others, are unable to defend themselves when needed and are passive. There is also another group I have come across, those who tend to be overly-expressive in their opinions, despite the consequences. Some individuals in this group have been described by their family members as “över the top” or “drama queens”, “engage in publicly defaming others, playing dirty and extremely difficult to maintain a relationship with”. These two particular groups are quiet different in their presentation, yet share similar difficulties in communication, social and emotional intelligence, maintaining relationships, both context and mind-blindness and difficulties seeing another person’s perspective. Both groups tend have difficulties keeping jobs, healthy friendships and partners. One group due to the inability to stand up for themselves, discuss their concerns with others and handle conflict when typical difficulties arise; and the other group, often having difficulty self-monitoring their behaviors and actions in the workplace, community, or in relationships, in essence, difficulty reigning their behaviors and emotions in. Their behaviors and lack of emotional control often scare, or intimidate their family members, co-workers partners, friends, or children. Over time and development, individuals who have not been diagnosed and/or received appropriate intervention develop a number of coping mechanisms, usually in order to cope with the symptoms of Asperger Syndrome. Some adults have developed co-existing conditions, for example, personality disorders. Is is ever appropriate to burn bridges? That’s a great question. Sometimes, it is appropriate to leave a situation, and quickly, however, depending on the situation, in as professional a way as possible. Sometimes, it just isn’t appropriate or safe to do so. I have heard of many examples over the years where I believed it was in the best interests and healthy for the person to leave a situation, as quickly as possible. One example that comes to mind is a client who’s co-worker aggressively bullied her in front of her own client and that client’s young child. The client then intervened on her behalf to stop the bully and protect his caseworker. Serious forms of aggressiveness and bullying can and do occur in the workplace or community and are unacceptable, especially in front of children. I do not classify these situations as “burning bridges”. What type of support or intervention is available to individuals who burn bridges? It is important to remember that each individual needs to have the intervention specifically designed for them. For e.g., the quiet shy type highly benefits by learning boundaries, to assert herself by speaking up and standing up for herself in healthy ways whilst the dramatic talkative type benefits from learning to let others talk, slow down, speak and act in calmer ways, so that others are not threatened. This entry was posted in Uncategorized and tagged anger, anxiety, aspergersyndrome, autism, autismspectrum, burningbridges, conflict, er, exploding, intervention, meltdowns, stress, support, xiety by Tania A. Marshall M.Sc., Autism Ambassador for EPG and Supply Desk, Psychologist and Trainer/Presenter. Bookmark the permalink. Wait…I thought Asperger’s people tended to have higher theory of mind, and that women, especially, can have so much empathy for others, it hurts us? Compassionate Empathy, or “empathic concern”. This kind of empathy helps us to understand a person’s predicament and feel with them, and also be spontaneously moved to help them, if and when other need help. Well…no wonder those essays my Interpersonal Skills classmates and I were asked to write, on the difference between ’empathy’ and ‘sympathy’ were so danged confusing! The definitions in the textbooks were so ambiguous, that two students could write their essays with exactly opposite descriptions, and both be given full credit, lol…this model, of calling all of it ’empathy,’ and dividing it into different types, really makes more sense to me. So, I was wondering, why is this list so heavily slanted toward lack of empathy, when that general list of traits leans completely toward high empathy? Hello…I am sorry to read that you have a stalker. I posted a sincere comment on Friday, but it is labeled as “awaiting moderation.” What does that mean? Can you see it? I would be most interested in your response. I cant begin to know how much.distress this has caused you and.how utterly disruptive it has been to your professional and personal life , I feel this is a huge injustice, not only on your feelings but also draining you of the energy you need to advocate and support the thousands of Asperger girls, to whom your a life line for. As it states in my book “Bullying is psychologically projective” Other name call or treat others how they are. This only shows your strength and others weakness. Hello Olley, thank-you for your support and kind words. Bullying, stalking, harassment and defamation are pervasive, in every country, from the micro (relationships and families) to the macro (communities, government, organizations). It is unacceptable and must stop. Bullies, stalkers, harassers must be made famous, just as KONY was made famous. You are quite accurate when you talk about bullying behaviors as “projections”. Bullies most often project onto others their own poison. Thank-you for continuing to be a light for Aspiens everywhere. My heart is breaking for my girl. She just told me tonight that she had a chance to be soccer goal keeper for a game they were playing for sport. Both teams were all girl teams. As soon as she was appointed to be goaly ( I am not sure who did this or maybe she chose to be) anyway not long after she was told that they didn’t wan her on there team and to go on the other team 😦 why do girls have to be so mean! Hello Alison, I am sorry to hear about the bullying. Unfortunately, it is all too-pervasive and particularly subtle and nasty in females. The movie “Mean Girls” characterizes this issue well. I have seen bullying, harassment and worse, stalking occur to those on the Spectrum but also initiated and perpetrated by those on the Spectrum. Hello Jeanne Marie, having a mentor or partner or family member who helps with the “Rebuilds Bridges”is fantastic. Thank-you for your comment and support. Take care. Thank-you for your comments Beth. It can certainly be tricky teasing out a Spectrum Condition, a personality disorder or both. I know of a few undiagnosed adults, with both. Take care. My diagnosis came late in life (age 60). I have been a big bridge burner. Unfortunately it has left me with very few friends. Some bridges have been rebuilt but not many. And I seem to be so self-sufficient that I don’t mind being alone 99% of the time. But I do get lonely and often wish I had someone to share my day with, my life. I don’t know how to meet people or maintain relationships. The last bridge I burned (early this summer), I tried to mend fences with, but she wasn’t open to it, telling me there was no air to clear as we don’t have a relationship. I am truly frightened by the prospect of growing older alone and friendless. Hi Amy. I hope you’ve met some friends you can connect with and treat well since then. Best of luck to you. I just burned the bridge right before I was going to get my vacations at work and have my review at this job. I decided to quit and didn’t want to answer any of my former supervisors phone calls and emails afterwards. She was very offensive, disqualifying and rude towards me for the last months. I realized I had to quit my job when I arrived home from work for the third consecutive day straight to throw up because of the stress she was putting me through. In my mind I believe that that was a good reason for leaving the job. But I am not sure if I overreacted. Thanks.